One of my teammates gave me an inspiration of what to call the current phase of The Nats History:) Tho I have to admit, the 1-0 victory yesterday featured the newly re-constituted bullpen at its finest! The rumor is Rizzo negotiating with the Phillies to sign closer Jonathan Papelbon! This really DISGUSTING! This guy has been poison to every clubhouse he has been associated with. He has now demanded that he replace Drew Storen as closer or he won’t come to the Nats! This has me so upset I’m considering stopping this blog, since this is a message from the Nats that they don’t value their fans or players. The annual “Futures Game” took place this afternoon at the Great America Ballpark in Cincinnati. It is an all-star game for the best young talent in today’s minor leagues, many of whom are expected to be playing in the major leagues very soon. I listened to the game on XM-radio as I was coming home from playing in a game myself. When I got home I turned on the TV and watched the Nationals Trea Turner hit a double and triple. His speed running the bases is spectacular. He was one of the stars of the game. Last Spring Turner was playing for N.C. State University. This year he has rocketted up to AAA Syracuse already. Some are expecting him to be the Nats Shortstop by next year. I listened to a commentator today on XM predict that the trade that brought Turner and Joe Ross to the Nats may end up being the best trade Mike Rizzo has EVER pulled off. 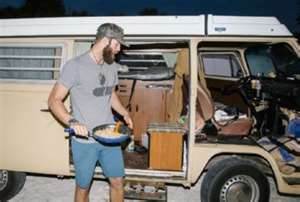 Who Has Heard of Daniel Norris? Norris (a pitcher) is the Toronto Blue Jays number one prospect. His story is pretty unique! While he has a fastball that can hit 96 miles-per-hour, his living style is a bit unusual for a hot pro athlete who signed for a $2 million signing bonus. When he heaves the ballpark he heads for his 1978 VW camper-van. He lives in it and cooks his meals over a gas-fired backpackers portable stove. At night he parks it in a Walmart lot next to the dumpsters.